THIS SITE PROVIDES DETAILS OF DESCENDANTS OF PHINEAS UPHAM OF MASSACHUSETTS, WHO CAME FROM ENGLAND IN 163S, AND LIVED IN WEYMOUTH AND MALDEN. EMBRACING OVER FIVE HUNDRED HEADS OF FAMILIES, EXTENDING INTO THE TENTH GENERATION. This genealogy has as its foundation the little book published in 1845 by Dr. Albert G. Upham, entitled ” Notices of John Upham and his Descendants ; ” and an incomplete, but very important Upham genealogy, showing many of the earlier generations in New England, collected by the well-known genealogist Thomas B. Wyman, a portion of which was printed in the JVeia England Genealogical and Historic Register, vol. 25, to which he had added notes as matter came to his knowledge, prior to his death some years ago. No attempt has been made to give particular credit to either of these pioneers in Upham genealogy for the reason that the entire work of each — omitting errors which have since been discovered — has been transferred to the pages of this book. Without the foundation afforded by the pains-taking labors of Dr. Upham and Mr. Wyman, this genealogy could not have been prepared. I wish also to acknowledge that without the continued assistance and encouragement given me in collecting material, by Mr. Henry P. Upham of St. Paul, Minn., and the Rev. Dr. James Upham of Chelsea, Mass., my labor would have ceased, and the present end would not have been accomplished. So valuable has been the aid received from these gentlemen, I feel that while my name alone appears on the title page, they should share in any credit that may be thought to be due on account of its preparation. The numerous others who have so kindly furnished records of particular branches, it is hoped, may find compensation with the re-appearance of their work in the pages which follow, and which are the result of a more or less connected effort, extending over the past seventeen years. An old man erected there. Each passer-by calls it Up-hame, Up-hame! However you call it, wherever you roam. The sons of the old man, remember it still. They’ll never forget it, wherever they roam. Lieutenant Phineas Upham (John), of Maiden, Mass.,was the only son of John Upham that left posterity; consequently he, as well as his father, was the ancestor of all the American Uphams. I. John Upham was the first to bear his name in America, and so far as known, he was the ancestor of all who have since had the name in this country. * He was born in England, probably in Somersetshire; but of his origin, or ancestry, nothing is known. Sarah Upham, age 26 ; Elizabeth Upham, age 3. As will be observed, his age is given as thirty-five at that time, according to which he would have been born in the year 1600; the record on his gravestone would make his age three years more, but this is probably a mistake, for the age as given by himself, — as this must have been — in his early years, would without doubt be more reliable than one which was recorded after his death, and also the death of most of the members of his family. From other sources, we know that the name of his wife was Elizabeth, and so assume the Elizabeth above mentioned was his wife, per age at that time being thirty-two. Sarah Upham, age 26, was likely his sister; there is no further record of her in connection with the family, that has been discovered, John, Nathaniel, and Elizabeth were unquestionably his children, subsequent mention proves them to have been such. His wife, Elizabeth, was the there are some who have received this name through adoption, whom this does not in-clude of course mother of all his children, unless, which is not probable, and there is nothing: to indicate, there was an earlier marriage in England. 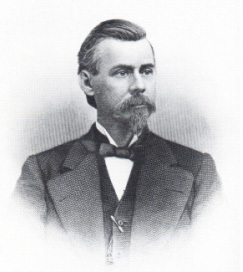 With regard to his wife: her name is assumed to have been Webb, for the will of Richard Webb has this : ” Also I appoint and design my loving friends, Deacon John Upham, of Maiden, Deacon Clapp and Lieut. Clapp, to be my executors,'”‘ etc. This dated July 21, 1659, while in the same record, and bearing the same date, is the following: “Joseph Webb being before me, the magistrate, declared that he chose his Uncle Upham, Lieut. Clapp, and Deacon Clapp, whom his father appointed executors of his will, to be guardians,” etc. John Upham, to have been the uncle of Joseph, the son of Richard Webb, must either have married the sister of the said Richard Webb, or Richard Webb must have married the sister of John L’pham. There is no record of the death of John Upham’s wife Elizabeth, though as will appear later, he contracted another marriage in his old age, in 1671. In 1881, William Arthur Upham, of London (Atlas Assurance Company, Fire Dept., 92 Cheapside), also wrote, saying he was born in Taunton;, in 1834 ; his father — then deceased — had been the town clerk at Taunton. He too was apparently quite interested in the origin of the family, and expressed a purpose to give the matter his attention, but nothing more has come from him. In 1877, William George Upham, who was in business at 75 High St., Hamstead, London, wrote that his father was Hugh Northam Upham, born in Taunton, Somerset ; where his father was also born, his name being AVilliam. William George had brothers in London: John Launcelot, Robert Northam, and Alfred Eugene Edward; all of whom were in business, or occupying positions of some kind. Hugh Northam — father of this family — said the family was probably originally from Devonshire. He also said there were but few of the name in England, so far as he was aware, and these he believed all came from the same original family. A George Upham was also mentioned, living at Russell House, South End Road, Hampstead, London, N. W.; he had been a bookseller and publisher in Bond St., had also been at one time connected with the British Museum, and was from Devonshire. Further mention was made of Edwin and William Upham, of Taunton, — relatives of the writer — the latter of whom was town clerk at Taunton. William George Upham manifested an unusual degree of interest in the subject of the origin of the Uphams, and expressed his intention to investigate the matter, but I am not aware that he has ever paid farther attention to it.